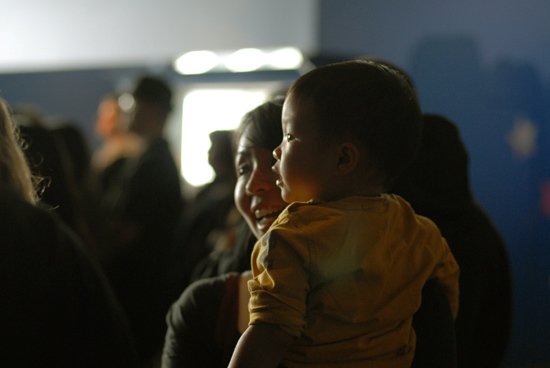 We took Oscar to the Monterey Bay Aquarium for the first time. He was processing everything around him very seriously for the most part, but I think he enjoyed it. He grew tired of it after awhile though and just wanted to be outside to run around and look at the boats. He was hamming it up for the camera at dinner afterwards, and kept on turning around to the lady behind us to smile and flirt with her. Silly boy. I am slowly making progress with the shop update, and will aim for everything to be ready by mid-September. Can't wait! 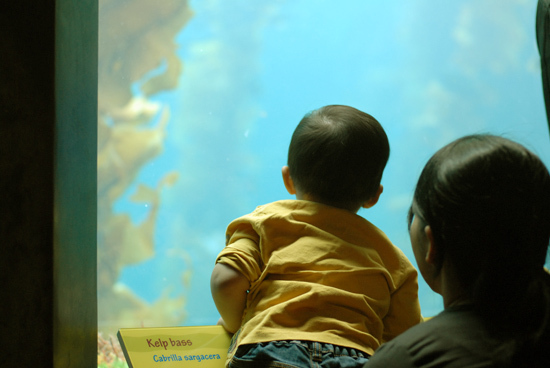 Noah loved the aquarium when we went in san francisco... i can't wait to see all the goodies you have in your shop! I like the connection oscar made between the aquarium and his see-food. very nice. ;) we should hang out again soon!! Darling! 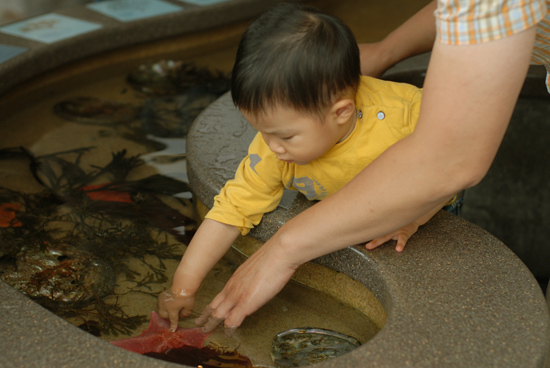 My kids always loved fish--esp when they were tiny. Such fluid movement. I followed a link here from pinterest.com and had to comment because I have an Oscar, too! Mine is 7 and in 2nd grade. 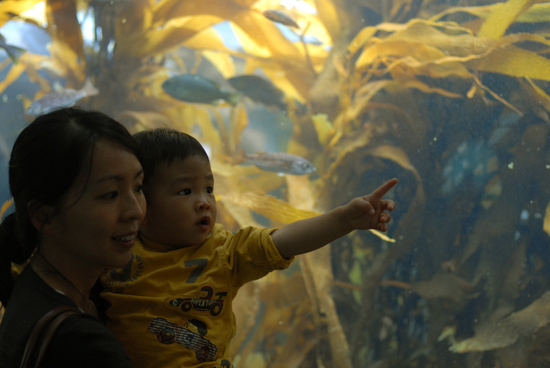 I have lots of fond memories of Monterey Bay Aquarium from various trips to Monterey/Carmel, so this was a fun memory jumpstart! Great place to take kids. 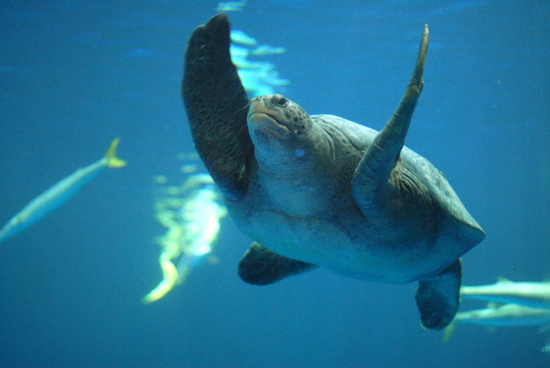 We love that Aquarium. Also driving down the coast a bit to some of the State Beaches not that far away. I love that place so much.. been three times now & never tire of it! 2007-2014 by Wendy Chung. Please do not use any photos or content from this site without my permission. Thank you!